Get help in getting rid of unnecessary household items and appliances accumulating on your property. 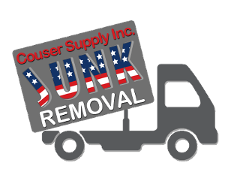 Request junk removal in Bowie, MD, from Couser Hauling. Our family-owned-and-operated company excels in solid waste disposal and junk removal. Let us take out the trash for you. Over the years, we all accumulate more stuff than we need or use. When that happens to you, rely on us for same-day trash removal. Our courteous and friendly team understands that once you decide to get rid of the rubbish, you require trash service right away. For your convenience, we are available from 7 a.m. to 8 p.m. Monday through Friday, and work on Saturday from 8 a.m. to 7 p.m.
Let the professionals from our family-owned-and-operated business come to your rescue when the junk pile becomes a junk room and threatens to squeeze you for space. We recommend that you plan junk removal on a regular basis, whether once a month, once a quarter, or once a year. You will not regret getting rid of these unwanted items. Our services free up room for you to buy anew. 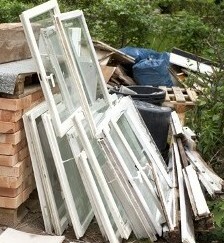 Save yourself time and gas by letting the professionals get rid of the rubbish for you. Do not try to load up your car or pickup truck and make multiple runs to the landfill with the help of a few friends. Your time is more valuable than that. Just give us a call and our courteous staff will schedule you an appointment that same day. Our services are dependable and affordable. We provide you with a number of special offers to reduce your overall cost, such as $25 off bulk trash pickup. Everything we do is based on one goal. That is to provide our customers with exceptional service. This is what our company will do for you. Call us today to remove the junk from your property. Contact us today to help you clean up your house and yard with our junk removal service for Bowie, Maryland, and the surrounding areas.